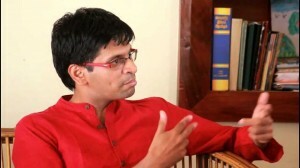 Anirudhan Vasudevan has been chosen for Sahitya Academy Award. He is chosen for his novel “One Part Woman”, a translation of perumal Murugan’s controversial Tamil Novel “Maadhorubaagan” Kerala Sahitya Academy Award is given each year by Kerala Sahitya Academy. It was given to Malayalam writers for their outstanding books of literary merit. The award was handover Anirudhan on 23rd June in a special occasion.